Spoiler alert! This trailer starts right at the very end of Assassin's Creed: Brotherhood's "wtf?" ending. If you didn't play that game yet, you won't understand a single thing. But you also might want to skip this trailer. 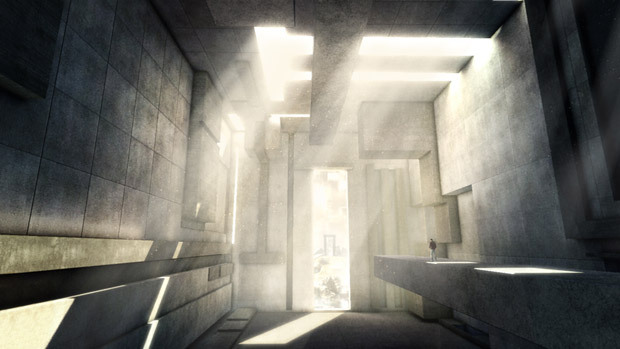 If you did finish that game, this is what Desmond's subconscious trapped in the Animus will look like. It would appear that Desmond goes through Oblivion portals into April Ryan's world, to traverse some Inception style dream-world. Maybe it's Ubisoft's way of slowly turning Desmond into a real-life modern-era Assassin while keeping a lot of the Animus VR stuff integrated in this new domain? Until we learn more, I'll just echo what Desmond says: "What the hell?"